By Warren Bobrow, Cocktail WhispererI’ve been thinking about the classics of cocktaildom lately and one drink stands out as a virtual mind eraser. It’s named the pink gin and probably for good reason. The history of this drink dates back to the mid 19th Century. Angostura Bitters, one of the original ingredients was being sold as a curative against seasickness. Gin that had been aged in used whiskey and rum barrels found its way into the drinking class and something quite unexpected resulted. Not only did the sweetness from the charred interiors of the cask drench the gin in soft textures, but also it made for a different type of cocktail altogether when mixed with the tropically scented bitters. Was the first time that you heard of the pink gin in a James Bond movie? If you said yes, then you’re late to the party. The Pink Gin has been around for a long time. Certainly before you were born! The Pink Gin is certainly not a weak drink. It is one part of barrel-aged gin to one part of aromatic bitters. You can specify ‘in or out’ in means the bitters are inside the glass, out means the rim is moistened with the bitters. Whichever way you choose, the Pink Gin is not for the meek. It’s pretty strong and the tropical flavorings will make it “all too easy” to drink. Barr Hill makes a barrel aged gin that I’m quite fond of. They age their namesake gin, made from raw honey and grain in new American oak casks that have been charred on the inside to reveal the sweet flavors inherent to the wood. I think that Todd Hardie makes some pretty righteous Tom Cat for this example of the Pink Gin. What I’ve done to this version, the cocktail whisperer version is coat the inside of the glass with Shrub Drinks Prickly Pear Shrub. I love the pink color of the Prickly Pear. It adds a certain dimension to the Barr Hill Tom Cat. A Shrub, for those of you who do not know is made from sugar, fruit and some kind of vinegar. The ingredients are combined and then aged for a period of time. What results dates back to the Colonial Era, when refrigeration was unheard of and preserving food was necessary against foodborne illnesses. 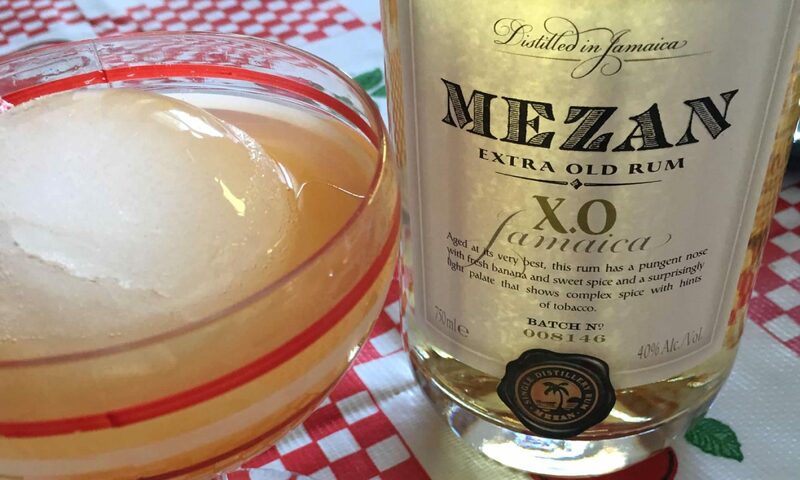 Shrubs like the Shrub Drinks Prickly Pear are just gorgeous, smacking of acidity and style. They deserve your hard earned dollars. I go crazy over the Bitter Truth Lemon Bitters. The classic version of a Pink Gin includes some form of aromatic bitters and a lemon zest. I love using the Bitter Truth Lemon because it injects lemony goodness deeply into my version of the Pink Gin. You need some citric spark against the sweet and potent strength of the Barr Hill Tom Cat Gin. It’s just perfect. Trust me on this. The lemon bitters are just what the doctor ordered. I’m departing from the norm with a wide orange zest. And don’t use a peeler. Please be sure to use a pairing knife. It’s important and using a knife teaches you patience that is essential to building a craft cocktail. Patience is what we are lacking in life, so start right now with your Pink Gin. Wide Orange Peel garnish- cut with a pairing knife, please! To a mixing glass filled ¾ with large ice- to chill down/but not dilute! Previous PostPrevious My 1st. book, Apothecary Cocktails was translated into French! Next PostNext Finally, The BEST bottled cocktails you can buy!